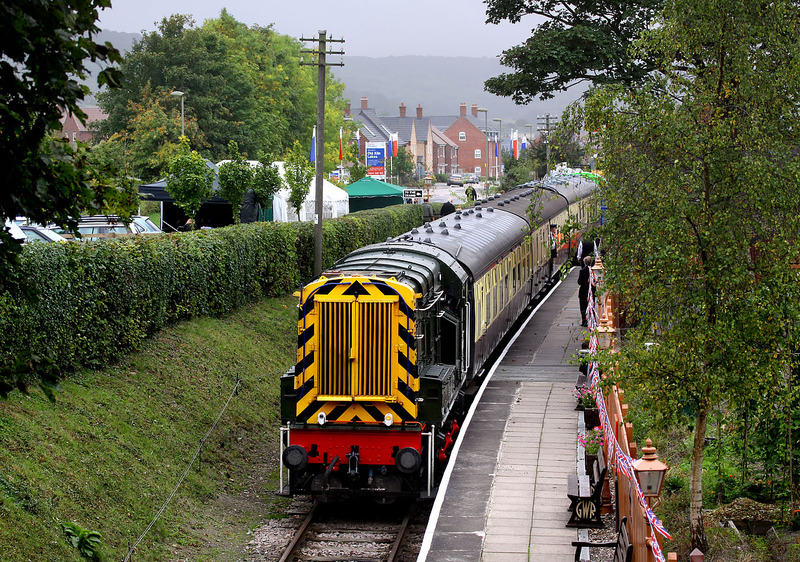 D3018 Faversham celebrated its 50th anniversary at the Chinnor & Princes Risborough Railway on 5 October 2013. It is seen here pulling into Chinnor station from the sidings, prior to working the 2T01 08:27 service to Thame Junction. This view has changed out of all recognition in the last couple of decades. The houses in the background occupy the site of the former cement works.